This is by far my favourite meal to make for friends. Kasia and I made it for a band who stayed with us last week, Sunshine Social, and they liked it so much we got a shout out from them during their set. Yes, it is that good. 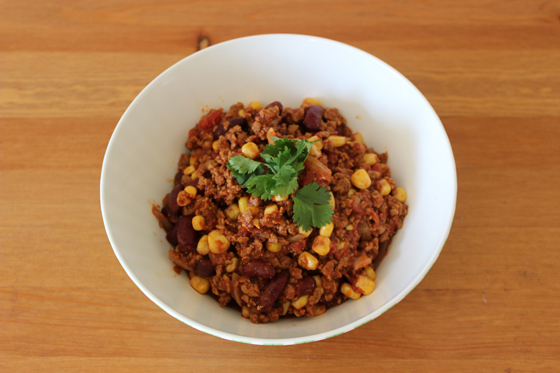 So hold on to your sombreros, because I’m about to spill the mexican beans on how to make the most delicious, easiest, quickest and cheapest veggie chilli sin carne you will ever eat. Ha! 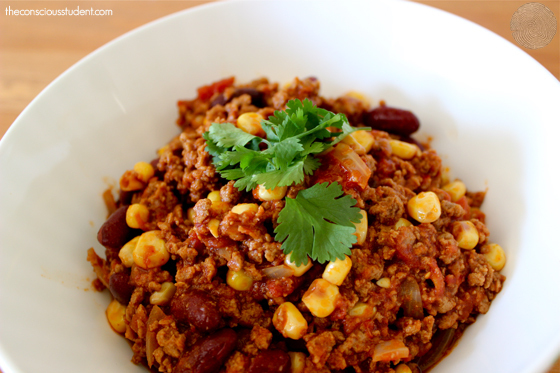 This meal serves 3-4 and will only set you back about £3.15… that’s only 80p per person.